Relaxed elegance in pure Merino wool. 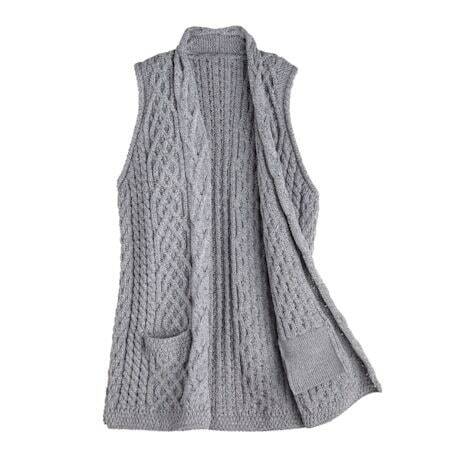 Open-front, tuniclength vest has deep front pockets and all-over cables in the traditional Aran style. Hand-wash or dry-clean. Made in Westport, County Mayo, Ireland. Size M hangs 31". Sizes S(4-6), M(8-10), L(12-14), XL(16-18).